Gambling, alongside the other staples such as floral or nautical, are a classic source of inspiration for tattoos and body art. Whether it’s as elaborate as a full sleeve of the Las Vegas strip or as understated and subtle as having the symbols of the four-card suits inked, there are many examples of casino-themed body art out there. While avid gamblers are an obvious market for these tattoos, even some who have never set foot in a casino may choose to have gambling-related designs if they want something that connotes good luck, a love of thrills or a devil-may-care attitude. However, one thing you should never gamble on is the quality of your tattoos. Since planning carefully is one major way to avoid having something sub-par permanently etched into your skin, here are some popular kinds of gambling tattoos to get you thinking about what you may want for your own design. Gambling tattoos featuring beautiful women are common, and not just because they combine two things many men love! 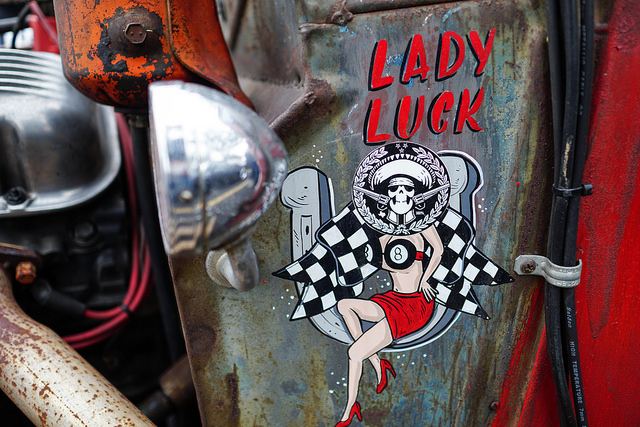 Luck, the casino-goer’s best friend and asset, has long been personified as a woman, a practice that may have originated from depictions of the Ancient Greek goddess Tyche. She is often depicted blindfolded to represent the non-discriminatory nature of chance. 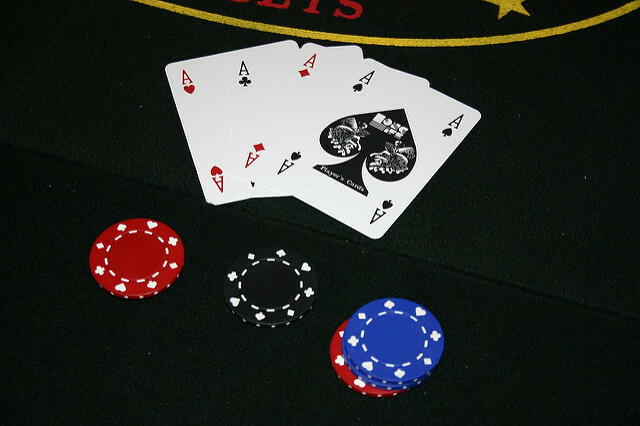 Many forms of casino gaming, such as card games, can be played anywhere but the special wheel needed for roulette means it is almost exclusively played in actual casinos. For this reason, it is associated with luxury and the decadent gambler’s lifestyle, with James Bond being one notable player. 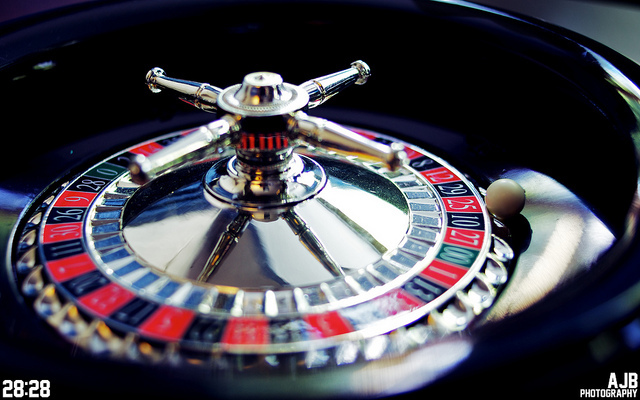 While nowadays, the game can be played anywhere, with even online roulette review sites helping bettors in their choice of casino, this connotation of glamour and excitement has stuck and even those who have never stepped foot in a casino choose to have the signature wheel tattooed on them. A similar desire to associate themselves with the excitement and glitz of casinos is also behind many people’s decision to have the Las Vegas sign or other landmarks from the Strip tattooed. Playing cards are a great option for a smaller tattoo and come with an additional wealth of symbolism on top of their connection to gambling. Popular theory states that the suits in a deck of cards represent the four major components of medieval society, with the heart signifying the Church, spades for the military, clubs for agriculture and diamonds for the merchant class. However, according to some, the suits also correspond to the four elements, with each card having its own specific meaning and corresponding birth dates. To personalise your tattoo, try looking up the card that corresponds to your day of birth or the birthdays of your loved ones. Another significant symbol from playing cards is the ace of spades, which was painted on the helmets of many soldiers in Vietnam. Since this symbol is associated with both good luck and death, a slightly paradoxical pair, the thinking was that painting it on their helmets could mean death for their enemies and good luck for the soldier in question. For those who want to demonstrate their inherent rebelliousness, a tattoo of the Joker card, which is the “wild card”, may be a better fit. Be careful not to give people the wrong idea, however, since the joker can be a symbol of deceit. Many people choosing to have a hand of playing cards tattooed have a very particular one in mind. The combination of two black aces, two black eights and a fifth unknown card is known as the “dead man’s hand”, since it was said to be the hand held by Old West folk hero and lawman Wild Bill Hickok when he was murdered. The dead man’s hand appears frequently in pop culture and is also present in the insignia of the Las Vegas Metropolitan Police Department Homicide Division and other similar squads. This is because for many people the dead man’s hand is a symbol of the need for caution and wisdom, since Wild Bill was murdered on the one day he failed to guard his back while playing poker.